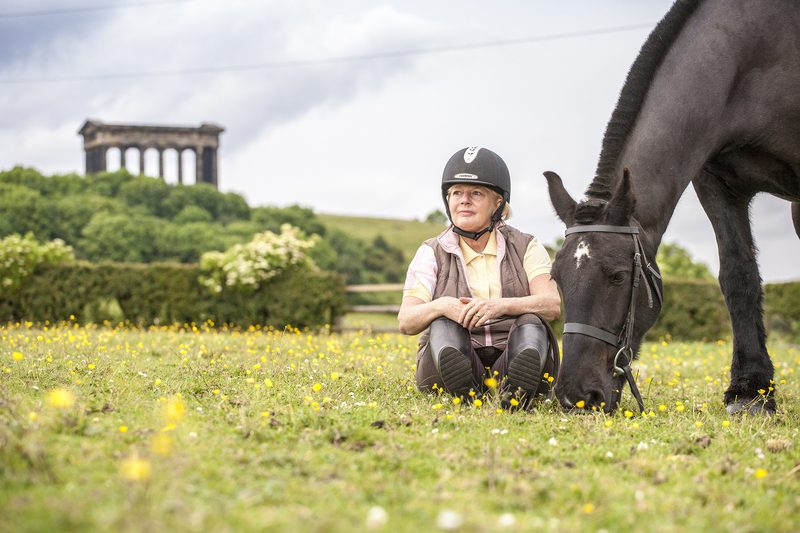 I first started riding at Penshaw in 1979, I had always loved horses but before Penshaw I had never been riding. So, I decided to start having lessons. I really enjoyed every lesson more and more and my confidence grew tremendously. In 1981, with the help of Penshaw I decided to buy my own horse, Rufus. After spending a few years enjoying Rufus and the wonderful scenic routes around Penshaw I decided to give him up to start a family. It wasn’t until 2011 that I returned to Penshaw and had an induction lesson. All my feelings and love for riding came rushing back within that one lesson. I loved it so much that I decided to join the group lesson on a Saturday. This was the best decision of my life, I have got my passion back and have made some amazing friends. I ride twice weekly; once on a Saturday and once mid-week. I love having the flexibility of being able to go to Penshaw whenever I want and ride around the beautiful scenic routes that surround the centre. 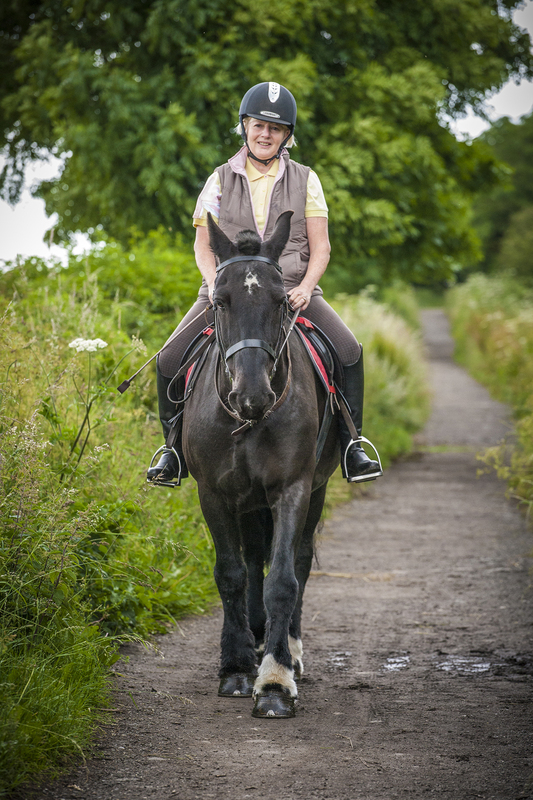 There is nothing better than riding through the country on a warm summer’s day and just enjoying the peace and quiet that surrounds me and my favourite horse, Betty. I also began taking part in monthly dressage competitions. I initially only entered the intro but after much encouragement by my Penshaw friends I began entering the prelim class. I would say that I am still a working progress, however I am extremely proud of my achievements. With the help of all the Penshaw staff and horses I have been reserve champion 3 times and champion once. I absolutely love being a part of Penshaw, the staff are second to none and the horses are amazing. Everyone on the yard is very friendly and supportive which makes Penshaw are homely place to be. Penshaw truly has changed my life and I know I will have many more years of happy times there.